The series of communication projects established by Ágnes halvas & Hubert Hasler at Wittgenstein 1918-2018 has developed to a visual level. Wittgenstein´s „What can not be said about it should be silent“ was yet one more step in their development of exposure of communication codes. On Balkan Performance Tour they are referring to Jaques Derrida, wandering on the famous tracks his semiotic analyses known as deconstruction. Identity is viewed in non-essentialist terms as a construct. Constructs only produce meaning through the interplay of difference inside a “system of distinct signs”. Derrida´s approach to text was influenced by the semiology of Ferdinand de Saussure. He saw a linguistic system as a series of differences of sound combined with a series of differences of ideas; but the pairing of a certain number of acoustical signs with as many cuts made from the mass thought engenders a system of values. Deconstruction as an approach for understanding the relationship between text and meaning. The results disclose the usage of language as a unstable thing, impossible for communication. 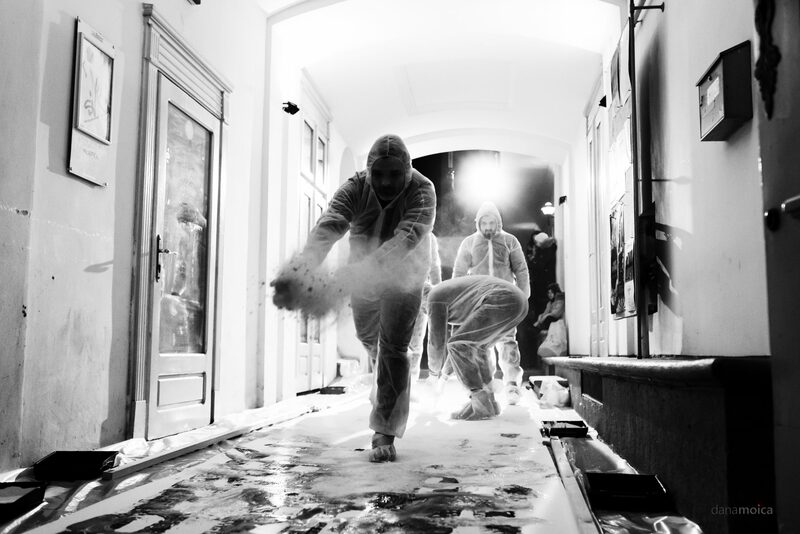 Aesthetic experiences transforms the viewer as a part of the performance at the same time as the artist duo. 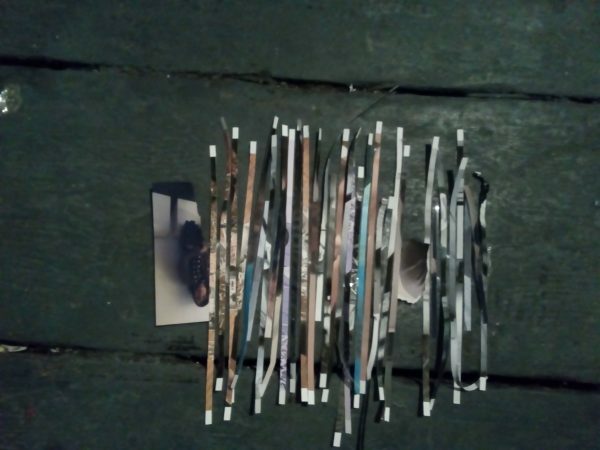 Photos are shot, printed, shredded, reassembled. After some reflections, the newly created work is crumpled up, thrown away. It is not about lasting values ​​or spontaneously arising art that should then go into eternity in order to be judged. Hamvas and Hasler create their own conceptual and value system. It again creates their own language, visual language, which is the more concretely label “Aesthetic Experience”, which depends on the condition of the receptive subject, on the addressee of the work, which is not added to completed production but can follow the development process. The value is pulled away by the destruction and thus ultimately is in front of garbage. The work of art tied to a field of subjective experiences that can neither be reflected nor rationally grasped without losing itself irretrievably. The work is absorbed by the protagonists and theatricality again, it is the concept of the unrepresentable that can be felt by its materialist (Jean-Francois Lyotard) and the singularity of the affect, which can not be thought or conceived according to Gilles Deleuze. The title refers to the image threads woven into Gobelin’s art, postmodernly to the imagery that has been dissolved despite weaving together. Die von Àgnes Hamvas & Hubert Hasler in Wittgenstein 1918-2018 begründete Reihe von Kommunikationsprojekten hat sich visuell entwickelt. Wittgensteins „Was nicht gesagt werden kann, sollte verschweigen werden“ war ein weiterer Schritt in der Entwicklung von Kommunikationscodes. Auf der Balkan Performance Tour beziehen sie sich auf Jaques Derrida, wandeln auf seinen berühmten Spuren seiner als Dekonstruktion bekannten semiotischen Analysen. Identität wird in nicht wesentlichsten Begriffen als Konstrukt betrachtet. Konstrukte erzeugen nur durch das Zusammenspiel von Unterschieden innerhalb eines “Systems eindeutiger Zeichen” Bedeutung. Derridas Textansatz wurde von der Semiologie von Ferdinand de Saussure beeinflusst. Er sah ein sprachliches System, eine Reihe von Klangunterschieden, kombiniert mit einer Reihe von Ideen. Aber die Paarung einer bestimmten Anzahl akustischer Zeichen mit so vielen Einschnitten aus dem Massengedanken erzeugt ein Wertesystem. Dekonstruktion als Ansatz zum Verständnis der Beziehung zwischen Text und Bedeutung. Die Ergebnisse offenbaren die Verwendung von Sprache als eine instabile Sache, die für die Kommunikation unmöglich ist. Ästhetische Erfahrungen macht der Zuschauer, als Teil der Performance, zur selben Zeit wie das Künstlerduo. Fotos werden geschossen, gedruckt, geschreddert, wieder neu zusammengesetzt. Nach einigen Betrachtungen wird die neu entstandene Arbeit zerknüllt, weggeworfen. Es geht nicht um bleibende Werte oder spontan entstehende Kunst, die dann in die Ewigkeit eingehen soll, um bewertet zu werden. Hamvas und Hasler kreieren ihr eigens Begriffs- und Wertesystem. Es entsteht wieder eine ihnen eigene Sprache, Bildsprache, die der eigentliche Mittelpunkt der Arbeit ist. Wie die Philosophin Juliane Renbentisch feststellte, fällt dieses Projekt als Kunstwerk unter das Label „Ästhetische Erfahrung“, das vom Zustand des rezeptiven Subjekts abhängt, vom Adressaten des Werkes, der nicht nach vollendeter Produktion hinzukommt, sondern den Entstehungsprozess mitverfolgen kann. Dem durch die Zerstörung der Wert entzogen wird und damit letztendlich vor Müll steht. Das Kunstwerk angebunden an ein Feld von subjektiven Erfahrungen, die weder reflektiert noch rational erfasst werden können, ohne sich selbst unwiederbringlich zu verlieren. In der Arbeit finden sich Versunkenheit der Protagonisten sowie Theatralität wieder, der Begriff des Undarstellbaren das durch dessen Materialitätt empfunden werden kann (Jean-Francois Lyotard) sowie die Singularität des Affekts, die nach Gilles Deleuze weder wahrgenommen noch begrifflich gedacht werden können. Der Titel bezieht sich auf die in Gobelins verwobenen Bildfäden, postmodern auf die trotz Ineinanderwebens aufgelöste Bildlichkeit. 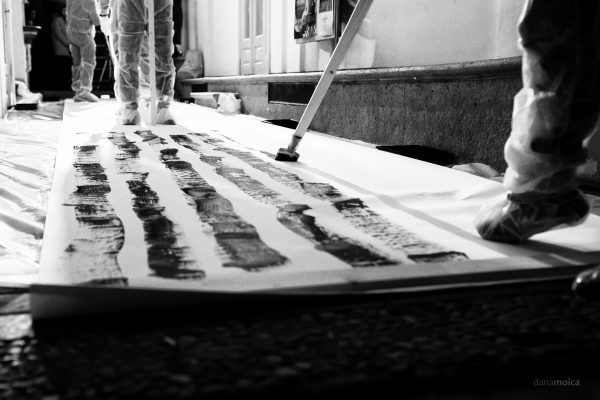 Performative painting session. Acrylic on paper (1,5x10m). Time: 10min. Space: Courtyard corridor at the entrance of Casa Artelor. 15 years ago NOIMA started here in this city. In 2014 we decided to figure our group as an organism, a living system. To play with the words life form – form of life. A collective eye that adapts to a new place, to a particular context. We now interact with each place trying to find the right game to play there. A new language game with specific rules that will generate a new trace, a new drawing. We want to continue here in Timișoara our attempts to investigate the possibilities offered by this adaptive and collective perspective. As we did in our past actions: Bringing Light, dLIGHT, Common Fields, Horizons, Breaking, Three act Circle, Garden, On the HILL, Brushwood, Report… We think of many thoughts. We’re wondering where we are now? What kind of place is this? What game could we play here? What common goal might appear? We have a passage to an old craftsman’s place. Here some old printers worked. There was a library in the past. Many thoughts about a place that has its light, sometimes hidden, sometimes at sight. Let’s play! 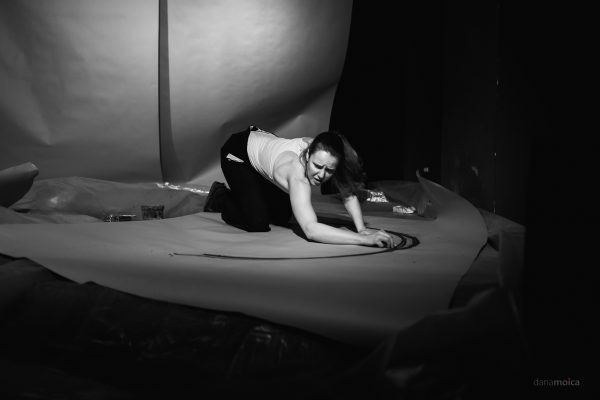 „Ébredés“ is an intermedia art project that combines fine art and physical theater in a performance piece. 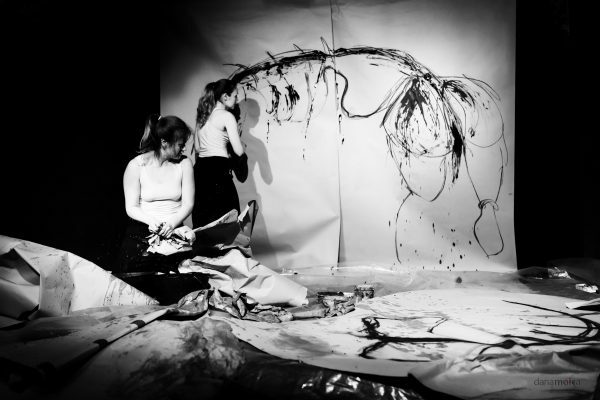 It is the result of a collaboration between Tomin Kis Anikó (dancer and choreographer) and Emilia Jagica (painter/drawer). This piece is the further development of our first performance piece “Folded flesh” done in 2016. I just feel we’ve got to produce things like these, that you’ll never forget. These ideas just keep bursting out. RoseLee Goldberg believes performance to be the linchpin of a visual artist’s creative process. It is still a animation of art that can not easily be bought or sold, it turns around the capitalistic art market in a way, even if time and the voracious art market have made a mockery of an utopian idea. 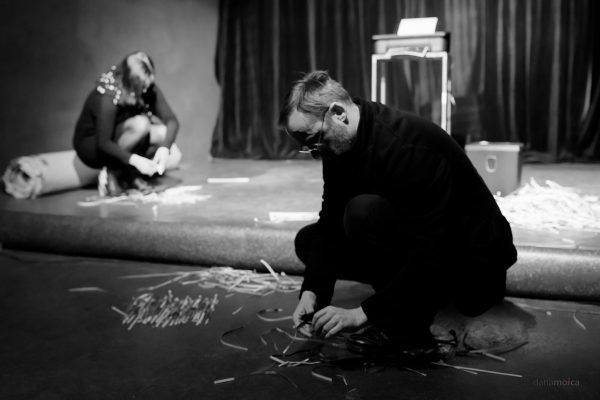 In that point of view Jagica & Kiss are destroying their art piece at the end of the performance and Hamvas & Hasler are using thermo paper, which completely faded with time. Noima is transforming one medium to another, performance to video, which remains as a nearly unsell able art work. A statement better being payed for one performance one night than searching for collectors for month is a necessary phenomena of our time. Likewise the questioning of production of works of art. Emilia Jagica & Anikó Kiss, painter and actress, together developed a synthetic position of their various expressive possibilities and created the form of character performance. The socio-politically relevant contents represent the two artists in different ways, with the help of their special tools, their bodies. The power of Jagica´s brushstrokes is analogou to the intense physical and mimic expressions of Animo Kiss. 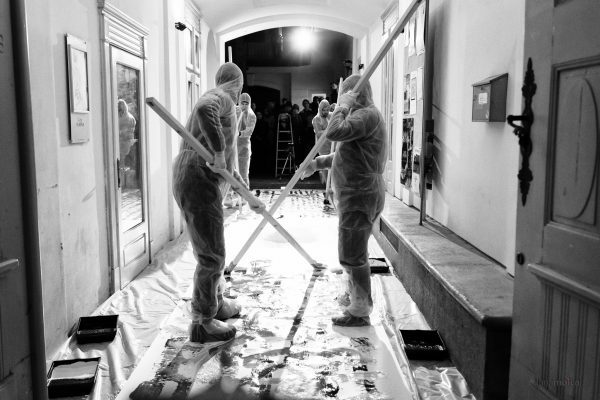 Around the same time NOIMA, a group of painters, developed a performance style based on the traditions of the Temesvar school, Flondor, Bartalan and others, opened up an extension of painting in performance. A confrontation of this quasi-simultaneously created new performance form, Painting Performance, is almost inevitable. The idea of ​​cross-border cooperation, a living Europe, is our concern. We are starting on 1.2.2019 at Casa Arcelor/ Studio in Timisoara, in cooperation with Meta Spatiu/Mirela Vladuti. Next station will be Kultur Center Novi Sad on 4.2.2019 and 6.2.2019 Ostavinska Galerija Beograd. 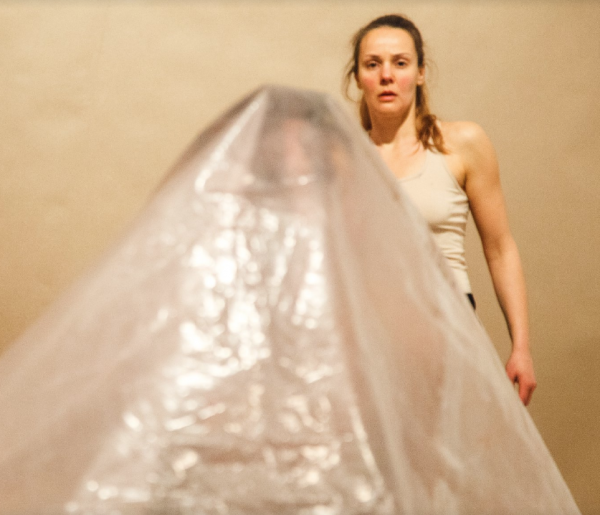 The basic idea and starting point of the performances by Jagica & Kiss and NOIMA are similar, but we have two opposite positions, clichéd naming a female and a male, which use the same forms of expression and yet show differences without any evaluation. Now we have a thesis and an antithesis, a female and a male position, what we lack is the synthesis. 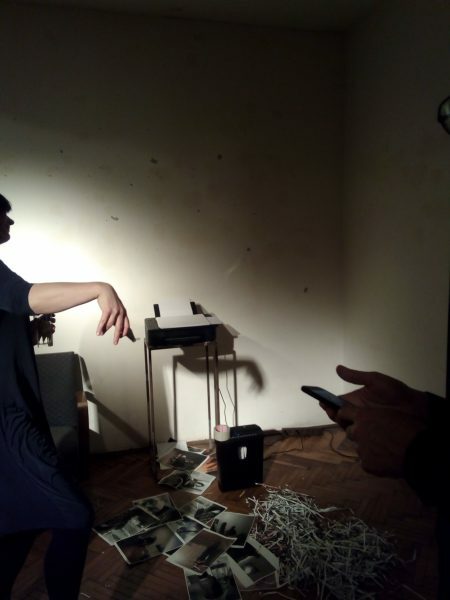 The program will start with the installation performance by Àgnes Hamvas and Hubert Hasler, a dialog over fax, which shows up the lack of personal communication of today as well as the shortage and change of language and communication in digital times. As a counterpart, NOIMA presents the dLight performance, which has been constantly evolving in recent years. The artists of the group NOIMA play with the words LUMINA / LIGHT and LUMEN / WELT. Through specific focus they illuminate certain approaches of the civilized world or place them in the “LIGHT”. 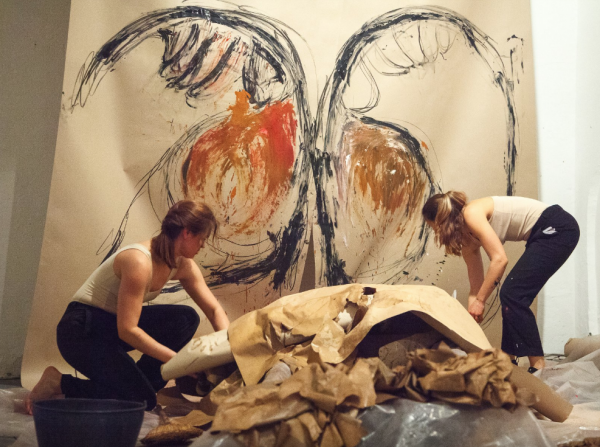 As highlight Emilia Jagica & Anikó Kiss display their performance “Awakening”. In this work, the two artists deal with the current situation of the people. The drudgery and perfectionism of the population is discussed as well as a way out of misery, through honest, perhaps even childlike, amazement and getting involved in this and that. Ich habe einfach das Gefühl, dass wir solche Dinge produzieren müssen, die Sie nie vergessen werden. Diese Ideen brechen immer weiter aus. RoseLee Goldberg ist der Meinung, dass Leistung der Dreh- und Angelpunkt des kreativen Prozesses eines bildenden Künstlers ist. Performance ist immer noch ein Genre der Kunst, das nicht leicht gekauft oder verkauft werden kann, sie verkehrt den kapitalistischen Kunstmarkt in gewisser Weise, auch wenn die Zeit und der unersättliche Kunstmarkt diese utopische Idee auch verspottet haben. In dieser Hinsicht zerstören Jagica & Kiss ihr Kunststück am Ende der Aufführung und Hamvas & Hasler verwenden Thermopapier, das mit der Zeit völlig verblasst. 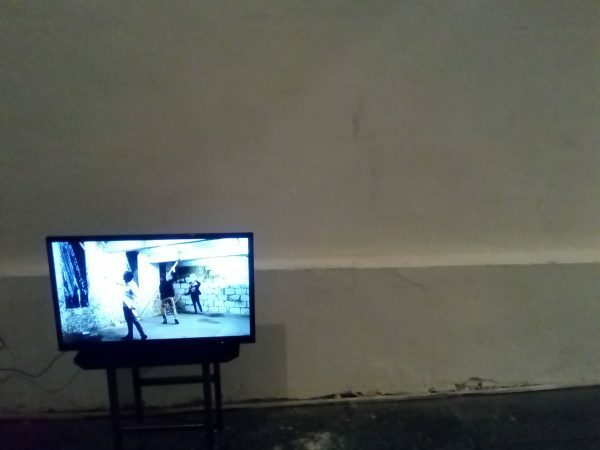 NOIMA verwandelt ein Medium in ein anderes, Performance in Video, das ebenso als nahezu unverkäufliches Kunstwerk gilt. Die Aussage, besser für eine Nacht bezahlt zu werden, als monatelang nach Sammlern zu suchen, ist ein notwendiges Phänomen unserer Zeit. Ebenso die in Frage Stellung der Produktion von Kunstwerken. 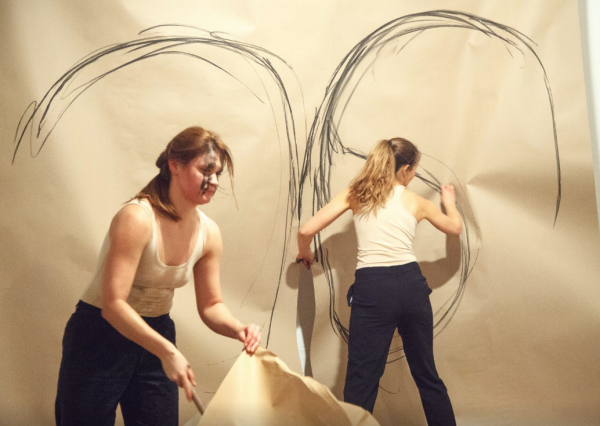 Emilia Jagica & Anikó Kiss, Malerin und Schauspielerin, entwickelten gemeinsam eine synthetische Position ihrer verschiedenen Ausdrucksmöglichkeiten und kreierten die Form der Zeichenperformance. Die gesellschaftspolitisch relevanten Inhalte stellen die beiden Künstlerinnen auf unterschiedliche Art dar, mit Hilfe ihres besonderen Werkzeuges, ihren Körpern. Die Kraft der Pinselstriche Jagica ́s sind analog zu den intensiven körperlichen und mimischen Ausdrucksformen Kiss ́s. Circa zeitgleich entwickelte die Malergruppe NOIMA einen Performance Stil, der einerseits an die Tradition der Temesvarer Schule, Flondor, Bartalan, u.a, anschliesst, andererseits entwickelten sie eine Erweiterungen der Malerei in Performance. Die Konfrontation dieser quasi simultan entstandenen neuen Performance Form drängt sich quasi auf. Die Idee Grenzen übergreifender Zusammenarbeit, ein gelebtes Europa, ist unser Anliegen. 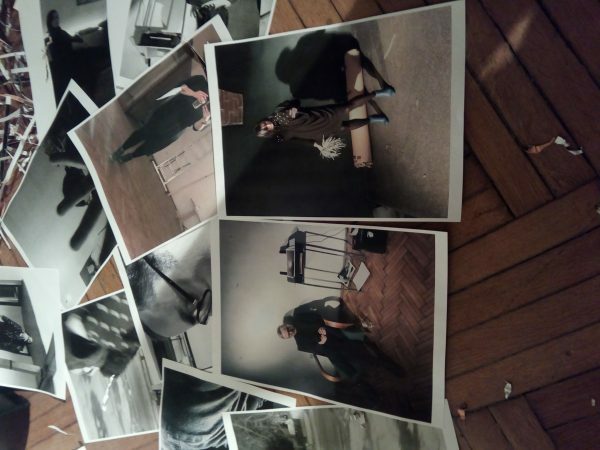 Wir beginnen am 1.2.2019 im Casa Arcelor / Studio in Timisoara in Zusammenarbeit mit Meta Spatiu / Mirela Vladuti. Die nächste Station ist das Kulturni Centar LAB in Novi Sad am 4. 2.2019 und Ostavinska Galerija in Beograd am 6.2.2019. Die Grundidee und der Ausgangspunkt der Aufführungen von Jagica & Kiss und NOIMA sind ähnlich, allerdings haben wir zwei total entgegengesetzte Positionen, klischeehaft benamst eine weibliche und eine männliche, die sich der gleichen Ausdrucksformen bedienen und doch große Unterschiede aufweisen, ohne damit eine Bewertung zu erfüllen. Nun haben wir eine These und eine Antithese, eine weibliche und eine männliche Position, was uns fehlt ist die Synthese. 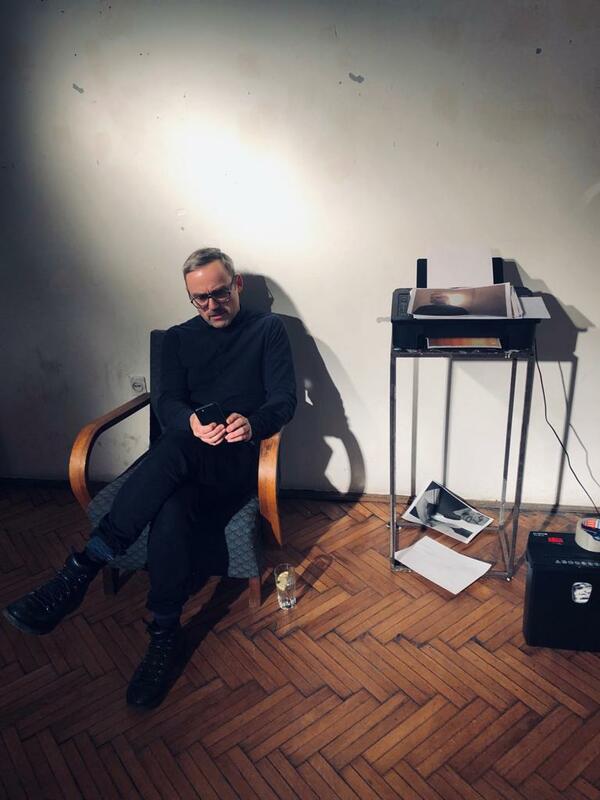 Das Programm beginnt mit der Installationsperformance von Àgnes Hamvas und Hubert Hasler, einem Dialog über Fax, der den Mangel an persönlicher Kommunikation von heute, sowie die Veränderung von Sprache und Kommunikation in digitalen Zeiten aufzeigt. Als Gegenstück präsentiert NOIMA die dLight-Leistung, die sich in den letzten Jahren ständig weiterentwickelt hat. Die Künstler der Gruppe NOIMA spielen mit den Worten LUMINA / LIGHT und LUMEN / WELT. Durch gezielte Fokussierung beleuchten sie bestimmte Ansätze der zivilisierten Welt oder platzieren sie im “LICHT”. Als Highlight präsentieren Emilia Jagica & Anikó Kiss ihre Performance “Awakening”. In dieser Arbeit setzen sich die beiden Künstler mit der aktuellen Situation der Menschen auseinander. Die Plackerei und der Perfektionismus der Bevölkerung werden ebenso diskutiert wie ein Ausweg aus dem Elend, durch ehrliche, vielleicht sogar kindliche, Verwunderung und Beteiligung an diesem und jenem.